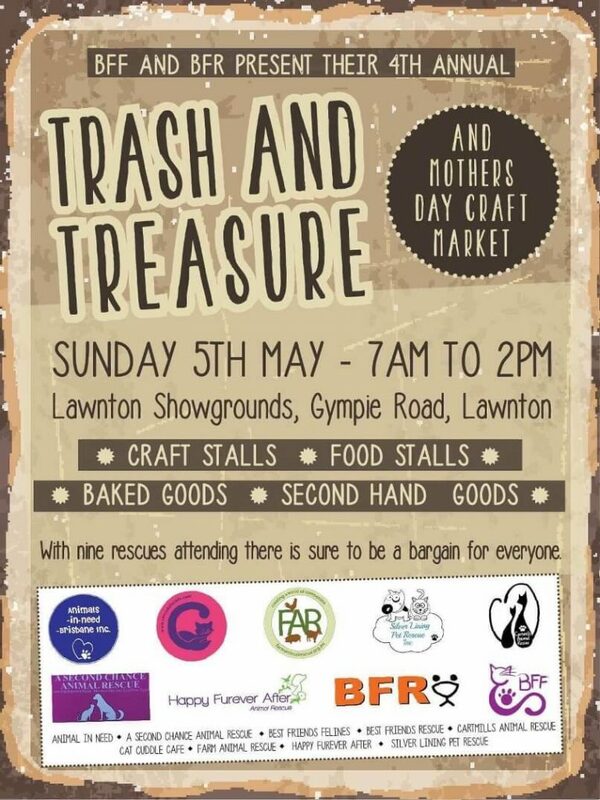 BFF and BFR present their 4th Annual Trash and Treasure and Mother's Day Craft Market. May 5th 7 am to 7 pm. Craft Stalls, Food Stalls, Baked Goods, Second Hand Goods.